Liviella (Tibolone) is a medicine for Hormone Replacement Therapy (HRT). This medicine is prescribed to postmenopausal women with at least 12 months since their last period. It contains tibolone, a synthetic hormone with similar effects as progestogen, oestrogen and androgen hormones. How does Liviella (Tibolone) work? Tibolone is broken down by your body to make hormones. Therefore, its effects are similar to combined HRT. The amount of oestrogen a woman’s body produces drops after the menopause. 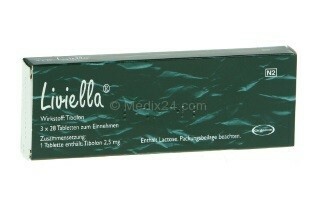 Liviella (Tibolone) reliefs the resulting symptoms as flushes and hot face. In addition it also prevents osteoporosis.